This article is about the resort municipality. For the ski resort operation, see Whistler Blackcomb. Black Tusk as seen from Whistler Mountain. Singing Pass in August as seen between Whistler and Blackcomb. View of Whistler from Whistler Mountain. The "Stairway To Heaven" area boundary on Blackcomb Mountain in winter. 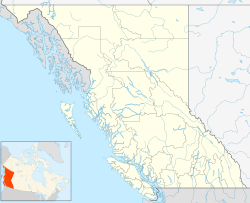 ^ "British Columbia Regional Districts, Municipalities, Corporate Name, Date of Incorporation and Postal Address" (XLS). British Columbia Ministry of Communities, Sport and Cultural Development. Retrieved 2 November 2014. ^ a b c d Canada Flight Supplement. Effective 0901Z 28 February 2019 to 0901Z 25 April 2019. ^ "Whistler mayor not keen about day trippers from Lower Mainland". The CBC. 16 October 2017. Retrieved 16 October 2017. ^ a b "Canadian Climate Normals 1981-2010 Station Data". Environment Canada. Retrieved 9 July 2013. ^ Douglas-fir Fertilization with Biosolids: Five-year Results at Whistler, B.C. ^ Varner, Colin (2002). Plants of the Whistler region (1st ed.). ISBN 1551926024. LCCN 2002096043. OCLC 51086167. OL 3571927M. Retrieved 17 February 2006. ^ E-Flora BC: Electronic Atlas of the Flora of British Columbia, Malus fusca (Raf.) C.K. Schneid. 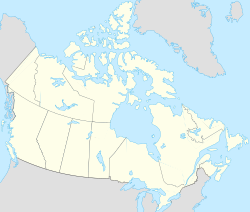 ^ "TODAY in Canada: 20–24 September". Archived from the original on 21 April 2005. ^ "Organization". The Whistler Film Festival Society (WFFS). Retrieved 24 July 2014. ^ Why Did I Get Married? Wikimedia Commons has media related to Whistler. 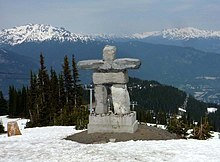 Wikivoyage has a travel guide for Whistler.